Green Clinic Employees Show Off Their Bulldog Pride!! 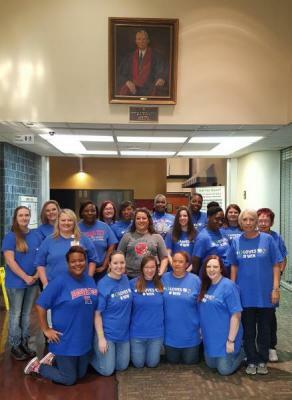 Green Clinic employees took time to show off their Louisiana Tech Univeristy spirit today by wearing their Green Clinic Bulldog football t-shirts. Employees show off their Bulldog Pride prior to each home game during the 2017 Football season. LA Tech opens their season this weekend with the home-opener against long-time rival Northwestern State University. Come out and cheer on the LA Tech Bulldogs at Joe Aillet Stadium...The Joe..., Saturday, 9/2/17 at 6pm!! GO DAWGS!! !